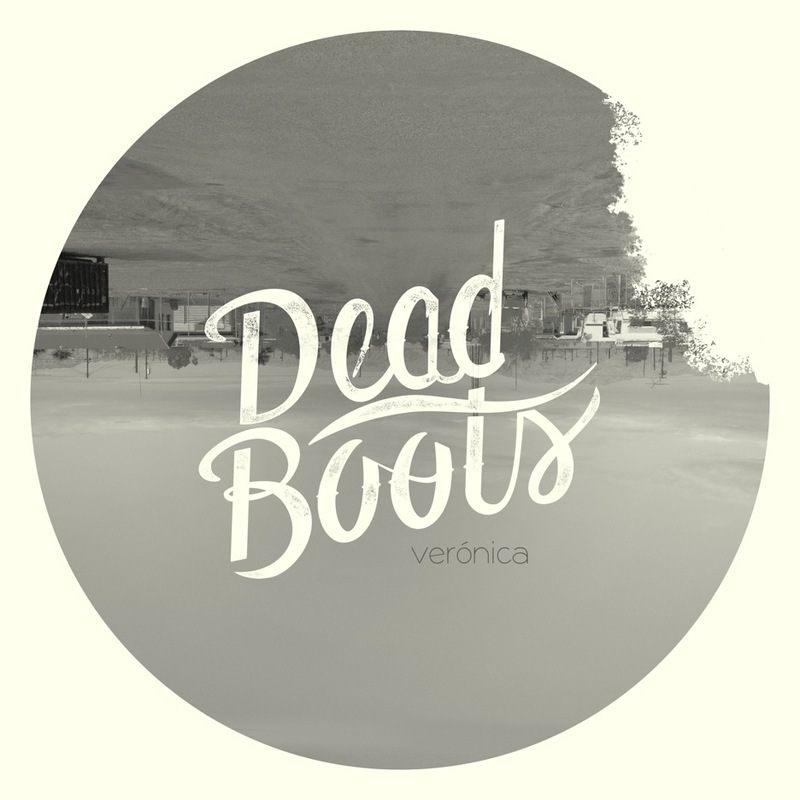 Boston-based rock ‘n rollers, Dead Boots (formerly TAB the Band) are set to release their full-length album, Verónica, Tuesday, 7/16. They will be celebrating on 7/17 at Mercury Lounge, and they are giving out digital downloads of the new record to everyone at the show. 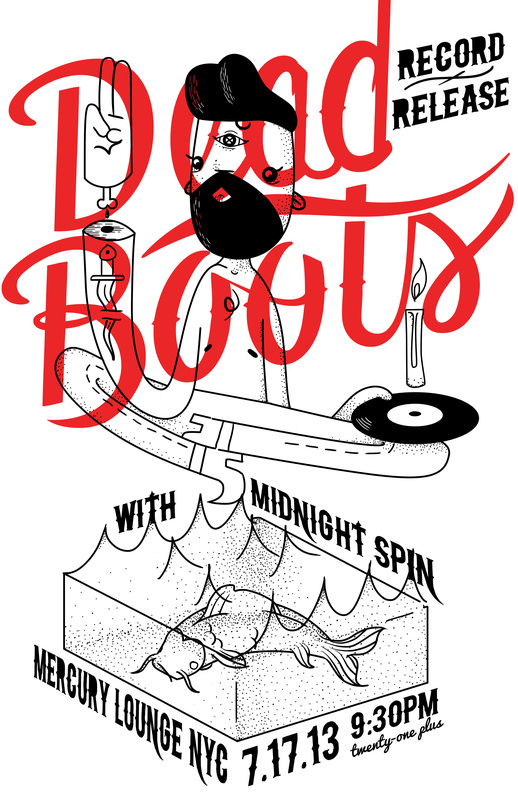 The quartet will be joined by fellow rockers, Brooklyn-based Midnight Spin. In anticipation of Verónica, Dead Boots welcomed a music video for the track “Saturdays” (directed and featuring a cameo by comedian Dave Hill), which you can view below along with two additional tracks from the new record! Make sure to get tickets to their New York release show here. 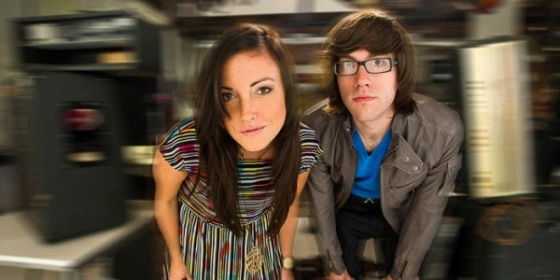 Boston-based two-piece, electro-outfit, Stereo Telescope, divided between Kurt Schneider (vocals, Ableton, live programming, Juno 6, Moog Taurus ii, Thingamagoop, Pocket Piano, glockenspiel, guitar, bass) and Nikki Dessingue (vocals, MicroKorg, Theremin, hand percussion), have been gathering force on the indie scene for the past three years. Now, the duo is armed with a brand new, debut record, On and Running, which drops officially on January 29. The release is fraught with shoegaze sensations, bright synths, and bubbly blips, beeps, and beats, showcasing Kurt and Nikki’s knack for crafting contagious electro-pop tunes. They will be celebrating their record release twofold on January 25 at Great Scott/The Pill in Boston and February 2 at Pianos in New York. Dancing shoes are recommended. You can pre-order On and Running on 140 gram white vinyl as part of a limited first pressing of 500 copies (with digital download cards) here. Check out the duo’s first video for single, “Fires,” below. Rocker Stalker had a chance to catch up with Nikki and get the scoop on the album and all things Stereo Telescope, so read on! How did the two of you meet? What drove you to start a band together? Kurt and I were in bands that ran with the same crowd, so we’d met many times at local shows and played on bills together. He was working on an electronic project on the side and asked me to add some vocals to a track he was finishing. That track became “Geography” and we liked working together so much we formed this duo. Where did the name Stereo Telescope originate? It kinda came together randomly, I really liked the idea of a band name with Telescope involved but couldn’t think of anything to make it click. When I told Kurt, he immediately suggested Stereo, and we loved it. We often tend to compliment each other really well like that. Did you face any challenges while recording your newest record, On and Running? It was a pretty long process of evolving songs we’ve collaborated on for the duration of the band, so there are difficulties that come with finding your sound and how to present a live electronic set. The album tracks Kurt’s progress with different programs (moving from writing with ProTools to learning to write and perform Ableton Live) as well as us getting better at blending our voices, tweaking tempos and arrangements, and redoing things on that level. It really came to fruition when he settled on our current way of doing things. So, with this type of music and this type of album and being new to performing electronic music, things changed along with the process of Kurt learning the software and the album reflects those challenges. What is the story behind “Fires” and the concept of the single’s video? Kurt had that great ambient synth hook kicking around and when he started to develop it into a song, it immediately inspired the verse melodies and we sat down trying to work out a lyrical concept. The lyrical and vocal melody of “Fires” was really collaborative, it’s a great example of us putting our heads together and coming up with content that represents both of our perspectives on the same concept. So, it’s pretty fitting that the video came together as a slice of time in our everyday lives. The director, Sean Corbut, had reached out about including us in a video project he is working on and was kind enough to use some B roll to create that video for us. It all kind of fell together perfectly. 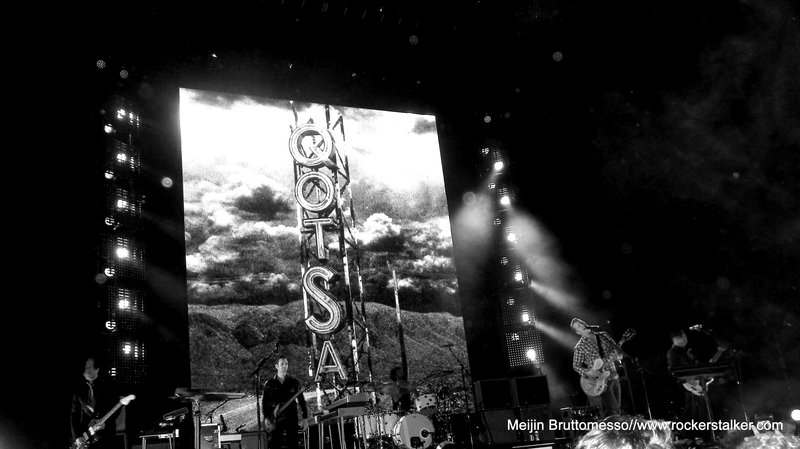 What is your favorite tour story? Our first tour was unintended, haha. Kurt’s band at the time had broken up right before heading out to SXSW and orphaned their fully booked tour. So, he contacted all the venues and we jumped in a sedan with our good friend/solo artist Daniel Harris, and we took on a 3 week tour in that tiny car. Before leaving we had to finish 6 songs and get them stage ready within just a couple months. It was a wild time, and often really stressful. Kurt had many a wrestling match with the computer system programming all of that. We pulled it off though, and I doubt we’ll ever get to do something like that again, it was a great time. For people who don’t know you yet, what would you like them to know most about your band? We just love to have a good time on and off stage, and if you come see us or buy our record grab a friend and a beer and hopefully you will too! What was your most rewarding moment of 2012? What do you have planned for 2013? Most rewarding moment of 2012 was probably listening to our test pressing for the first time and realizing we’re really putting out our first vinyl! It’s happening! In 2013 we plan to play out as much as we can, and record and put out another album ASAP!